Mohawk Doodle, LLC was founded on this sole principal: all companies (no matter the size, location, or budget) should have access to the best social media marketing. Love our logo? Thank Scooter James! Forest's pup is the inspiration behind our company name & design. A Wisconsin girl through & through, Forest was born in & raised in the Appleton area. Don't call her a crazy cat lady, she is definitely more of a Goldendoodle & horse person! She founded Mohawk Doodle in 2011 with the goal of helping businesses better connect with their consumers online. Forest attended Marquette University in Milwaukee, Wisconsin for undergrad and grad school -- Go Golden Eagles! Forest has a passion for learning and is always trying to find new ways to help her clients businesses grow. She's a superstar in: ecommerce, social media marketing, account management, copy writing, branding, & marketing strategy. When she leaves the office & the barn, it is to be with her humans. She is very lucky to have family close by. Forest loves traveling the world with her family, trying wine, discovering new things & having laughs. Never one to shy a way from a challenge, Laura is constantly expanding her design repertoire and learning creative ways to tackle every project. After graduating from Columbia College Chicago, she dove into the world of freelance - trying her hand at everything from photography to packaging to web design. Her focus is: brand design, content creation & web development. When she's not creating, Laura is on the move. 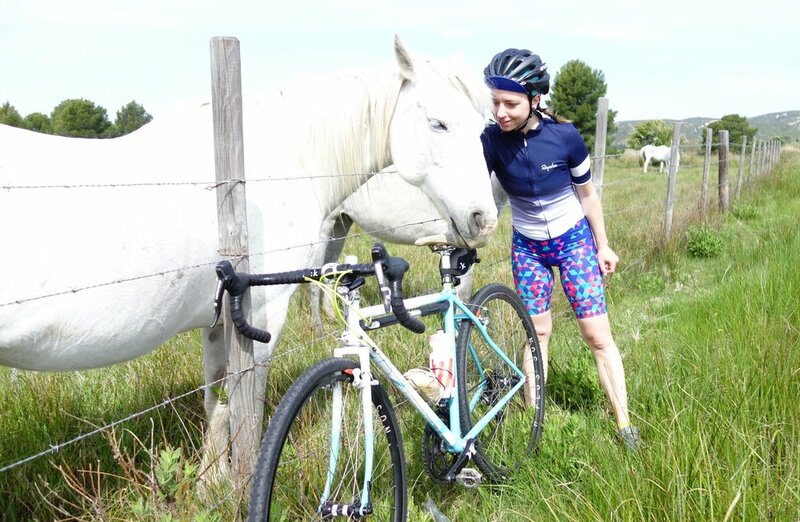 She loves travel, yoga, hiking & biking through the French countryside. Sarah Kover is a Chicago-based nonprofit fundraiser and project manager. She spends her free time devouring books from her local library, volunteering with the Sierra Club to pass pro-environment legislation, and freelancing as a wedding coordinator. Born and raised in California, educated in Wisconsin. Born & raised just a wee-bit north of Green Bay, this girl was destined to be a tomboy. Ashley is the biggest football fan, but we won't even mention what team she roots for -- ask her yourself, if you dare. Shout-out University of Wisconsin-Stevens Point, Ashley is a proud Pointer graduate! Check her skills: social media content development, photography, website creation, branding, & marketing strategy -- basically you name it. When she isn't behind the computer she is definitely hanging out with her family. Most likely playing a highly competitive game of bag toss in her parents' backyard.